I love a good story about someone who changes paths in midlife and completely reinvents him- or herself. 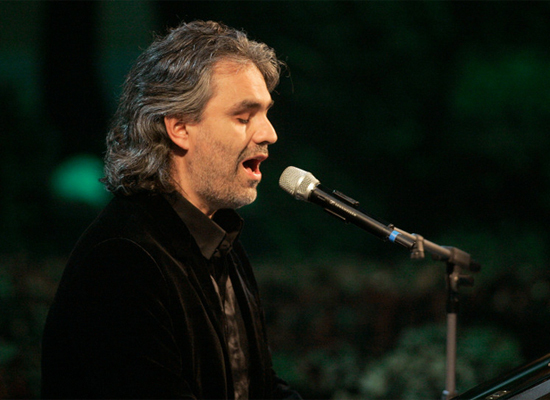 Andrea Bocelli was working as a lawyer in Italy when he was discovered. Harrison Ford worked for years as a carpenter before getting his big break. And Julia Child was forty before she ever took a cooking lesson. It all flies in the face of all the cynics out there who say, "You're too old," "It's not realistic," or "That ship has sailed." I love it when people find success at any age. But it doesn't always happen as fast as we'd like it to. The real world requires us to support ourselves and our families, so we tend to think more about what will make us money than what will make us happy. Of course, that's perfectly understandable and practical. But having a creative outlet or a personal passion is equally important. If you love to paint, then paint! You may have to do something else for a living, but that doesn't mean you can't indulge in your artistic passions as well. If you want to sing, then sing - even if it's only for an hour a week. The point is that by honoring and engaging your artistic impulses as much as you can, you'll be bringing creativity, balance and fulfillment into your life. You'll also be developing, improving and growing in a way that is meaningful to you. It's all about finding something that is yours and brings you joy -- something that fulfills you personally and creatively, regardless of whether or not it actually turns into a full-fledged career. Then again, you never know. If you stick with something long enough, follow your passion and enjoy the process, there's no telling what could happen. So, in that spirit, here are some inspiring examples of people who trusted in their art, stayed true to their passions and eventually found a way to change course in midstream. Even at a young age, it was evident that Bocelli was musically talented. He played various instruments, including the piano, flute and saxophone, and even won a singing competition at 14 years old. But instead of pursuing music as a full-time career, he earned a law degree in his native Italy and became a lawyer, singing at piano bars at night and weekends. It wasn’t until a scout heard him sing on a demo tape in 1992 that Bocelli gave up law and turned his attention to music full time. Since then, Bocelli’s sold nearly 100 million albums worldwide – looks like it was a successful career move.